Some of these places have limited menus, or menus full of entrees, steaks, sides, specials, and other things I avoid on the Feed Report. On my third visit, it can be tough to find something appropriate that I haven't eaten before. Place is full of bigwigs. Money talk on adjacent table is in increments of $100,000. The little blobs of gnocchi have a nice, slightly chewy exterior. There's a lot of extra bits here. The various tomatoes and basil, but also what I believe to be pickled artichoke. 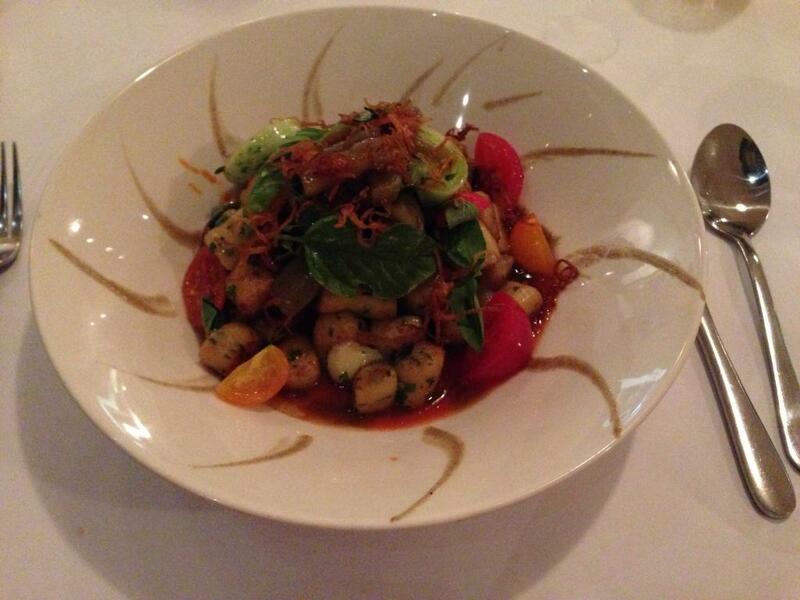 There's a kind of a pickly or vinegary tomato juice in the bottom of the plate that doesn't quite go with the gnocchi. There's cheese (manchego) in here, but it's in big chunks, like everything rise, rather than being distributed evenly. A mouthful that's 50% cheese is not ideal. Every mouthful of this dish tastes different, and I need to think about what goes on each spoonful. With figs and fig ice cream. Will have to compare this to last night's excellent fig ice cream at Sah Mediterranean in North Adelaide. The semolina block has an unusual texture, almost like dough or porridge, but has a pleasant wheaty taste, with just a hint of sweetness. 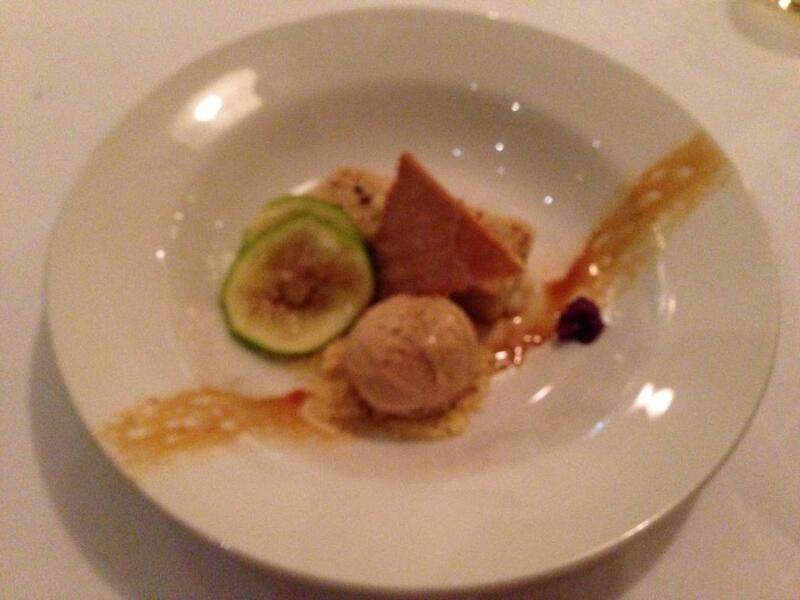 The fig ice cream has a strong toffee or golden syrup taste. I know there's fig in there, but the toffee taste is stronger, and its "burnty" taste is just a bit too strong. The crumbs in the bottom of the plate, and the biscuit, have no unexpected or outstanding taste, and don't add anything to the dish.